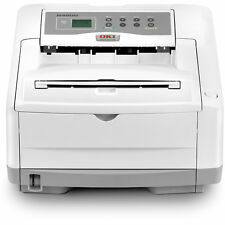 Print up to 27 Pages Per Minute. We will always go out of our way to source the product you are looking for. Add to Favourites. Parallel, Ethernet & USB Connections. Double Sided Printing: Automatic Double Sided Printing Mono or Colour Printer: Mono. Product Group Output: A4 Double Sided Printing Unit (Duplex): Duplex as Standard. 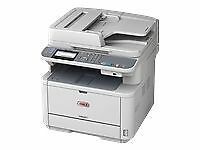 Technology: LED Laser Printer Processor: 667MHz Processor.  Manufacturer Reference: 44318607.  Colour: Cyan. Ink & Toner. Official Ryman Outlet. From Official Ryman Outlet. Paper & Printing. Furniture & Storage. Office Supplies. We will always go out of our way to source the product you are looking for. Print up to 32/20 Pages Per Minute (Mono/Colour). Add to Favourites. 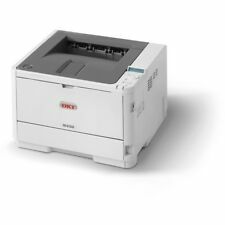 Oki A4 Mono Laser Printer 33ppm Mono 1200 x 1200 dpi Print 3 Years Warranty - 45858301 (Printers > Laser Printers). But with OKI, there???. s no need to compromise between price and performance. t stretch your budget. Automatic Duplex Printing (2 sided). USB and Ethernet Connections. Print up to 36/34 Pages Per Minute (Mono/Colour). We will always go out of our way to source the product you are looking for. Add to Favourites. Parallel, Serial RS-232 and USB interfaces. We will always go out of our way to source the product you are looking for. OKI mc560 printer DOES NEED A NEW FUSER. Does have toners but not sure how much in each toner. Set up disc included. Print up to 607 Characters Per Second. We will always go out of our way to source the product you are looking for. Parallel and Serial RS-232 connections. Print up to 23 Pages Per Minute. We will always go out of our way to source the product you are looking for. Add to Favourites. B512dn - 45ppm, 4.5s TTFP, 1200 x 1200dpi, Hi-Speed USB 2.0, 10/100/1000 Ethernet, 512MB RAM; 3GB eMMC, 667MHz. 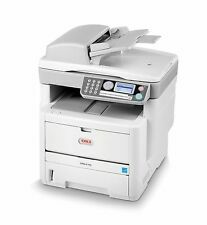 Looking for a black & white printer that has the speed and paper capacity to support the highest levels of office productivity, without straining your budget?. Printer Spares. Condition: This item powers on but the printhead misses a couple of lines from the top of each character. This item powers on but the printhead misses a couple of lines from the top of each character. Automatic Duplex Printing (2-sided). USB, wireless and Ethernet connections. We will always go out of our way to source the product you are looking for. No reserve and new are for.